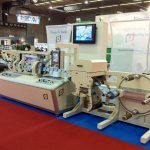 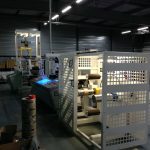 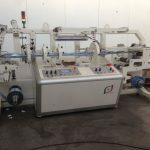 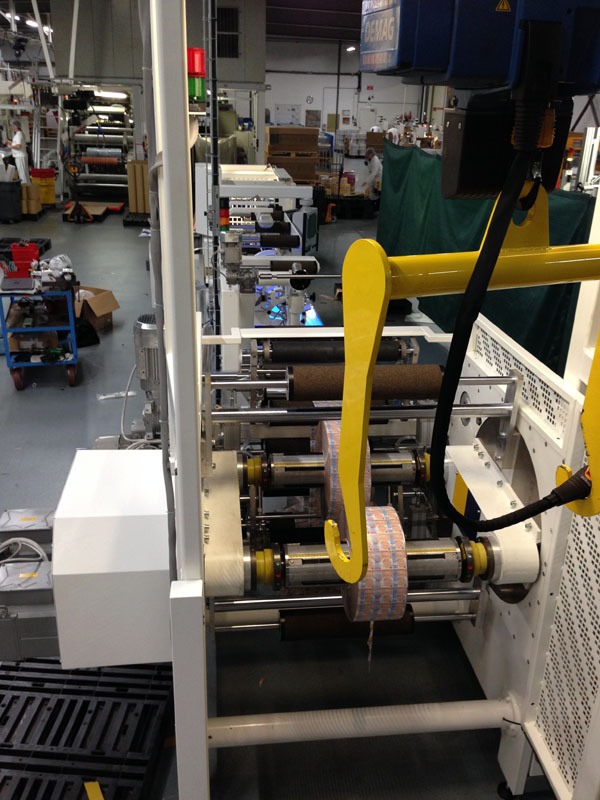 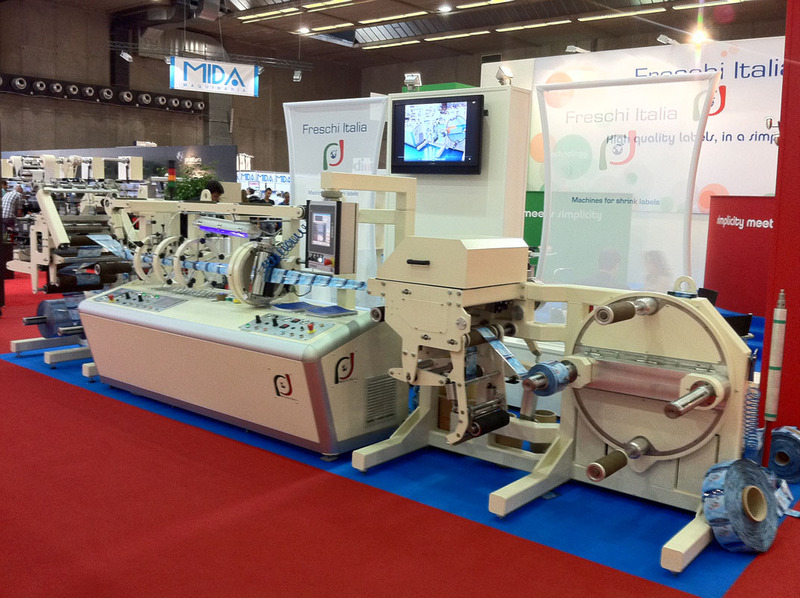 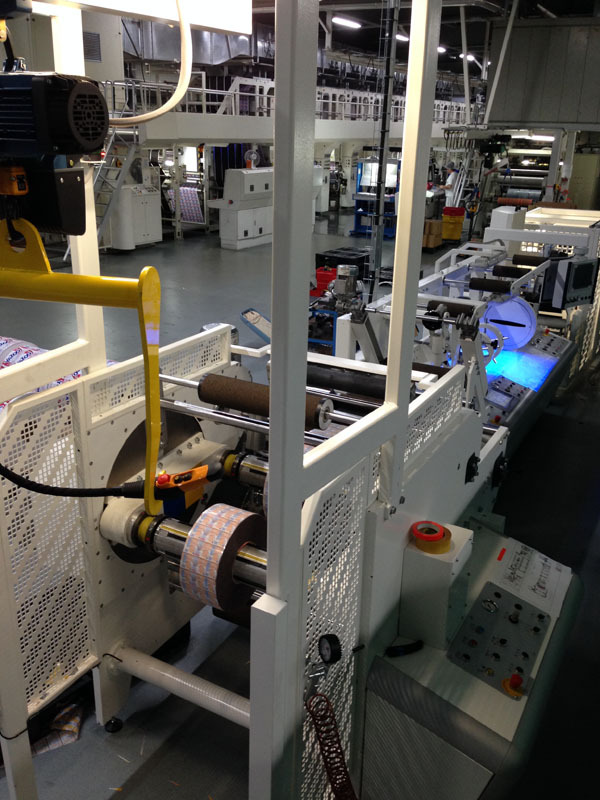 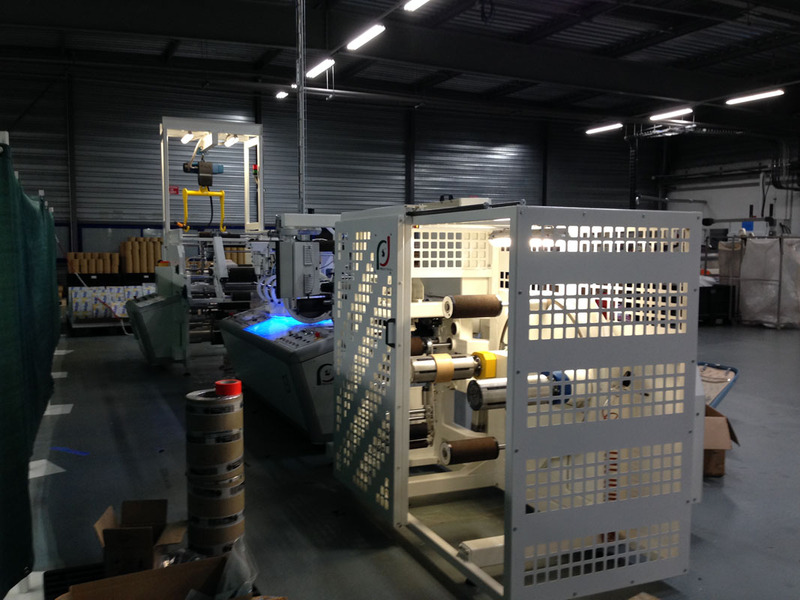 Our work started for satisfying the growing demand of machines for the production of shrink sleeves labels. 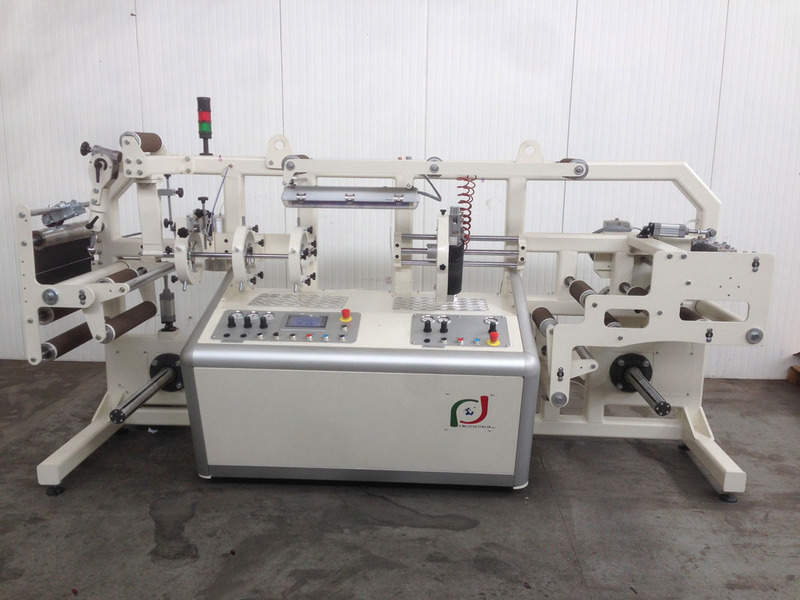 Our Sleeves machine can run the following materials: shrinkable PVC, PET, PS; PLA from 20 to 100 microns. 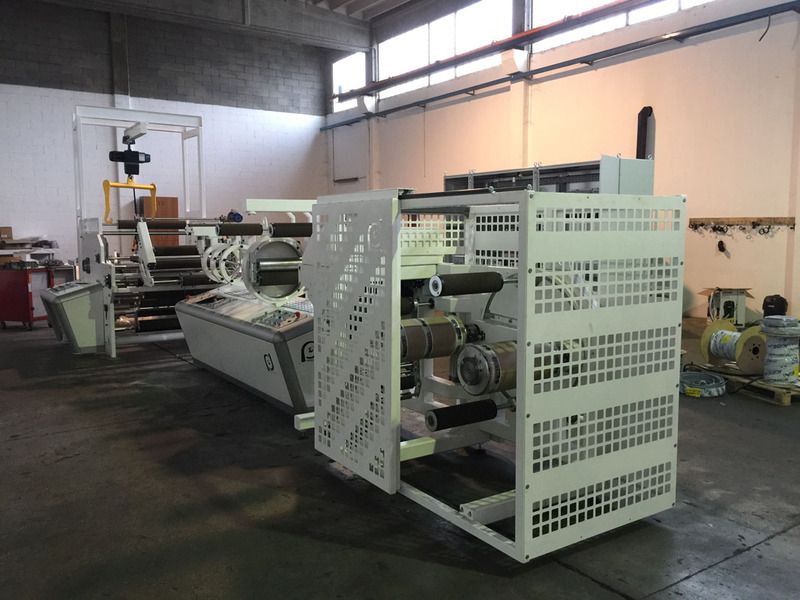 Since the starting project, the machine has been designed for large-scale production, built with high-quality components and having the goal to offer a simple, safe and extremely reliable machine. 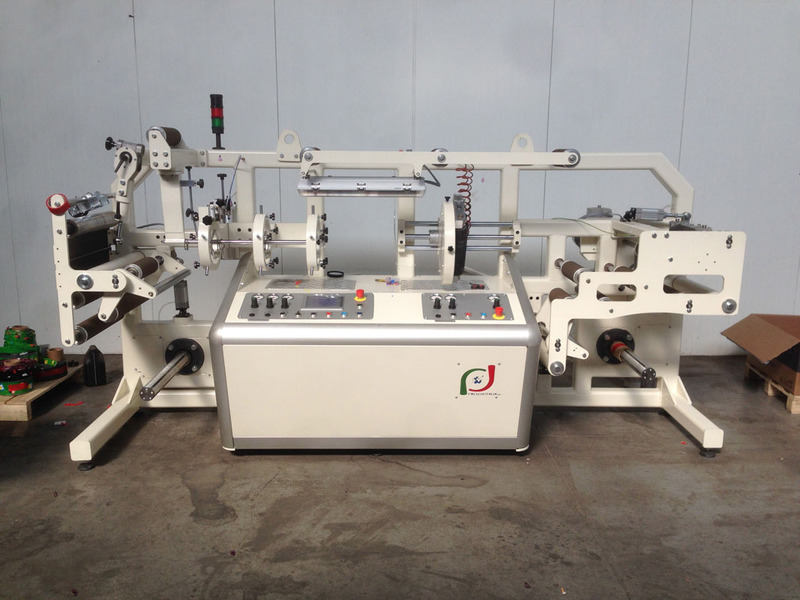 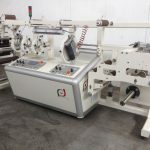 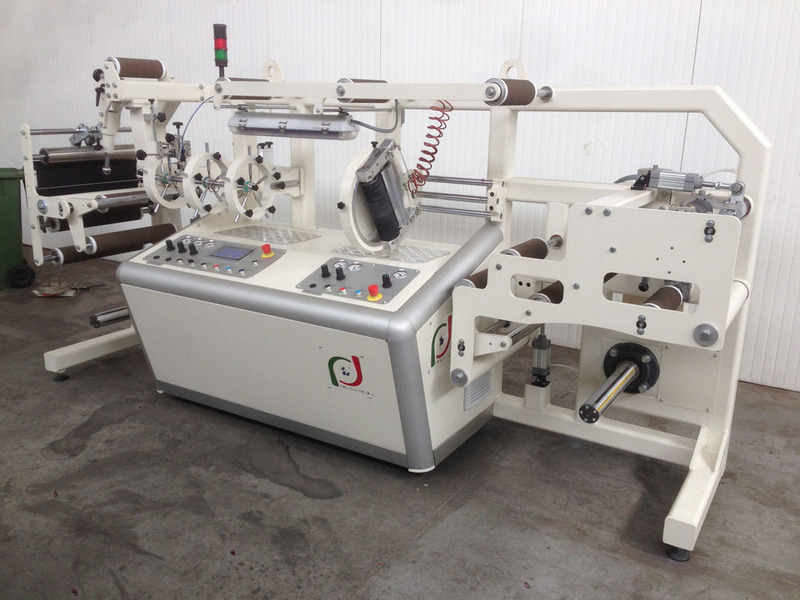 The unwinder has a single shaft and it is provided with an automatic web guide system and a splicing table for manual film cutting. 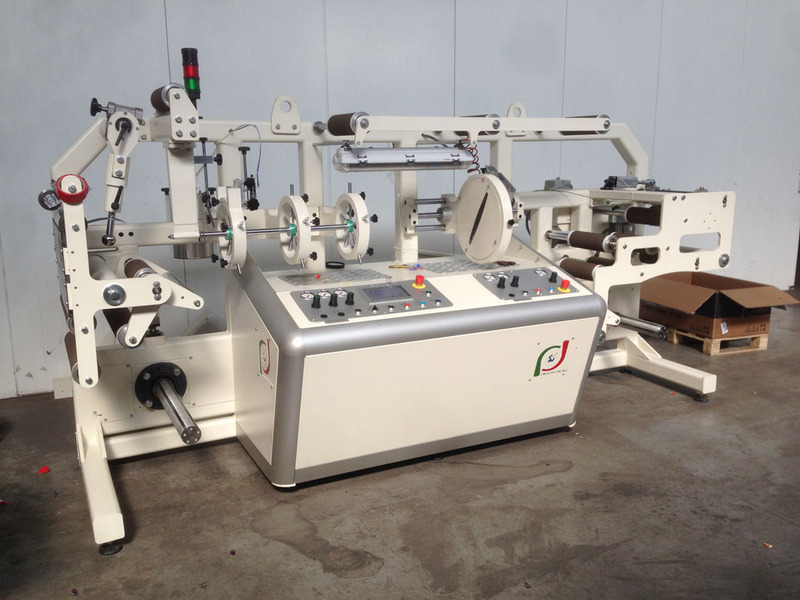 The central part of the machine is the heart of the machine and represents what distinguishes our machines from competitors’ ones. 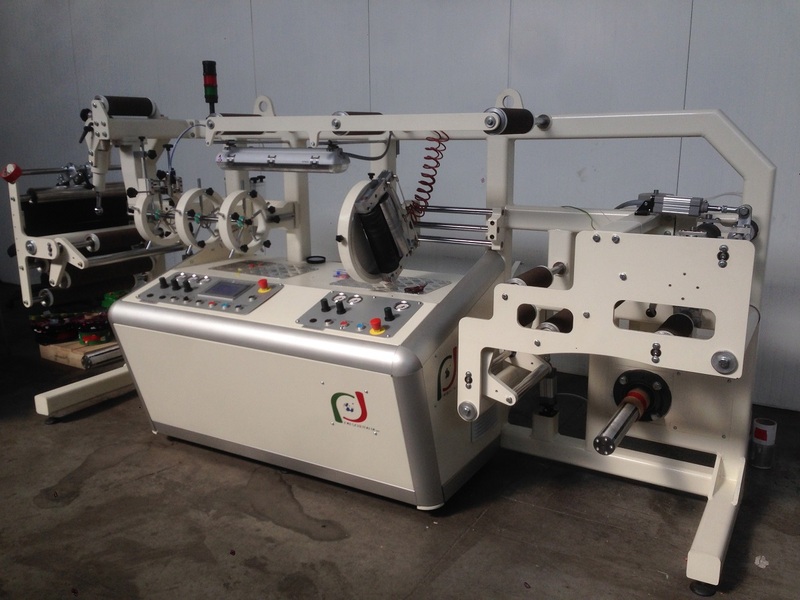 forming and seaming system. 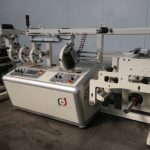 Unlike other systems, we form the sleeve by means of a tube not a plate, the diameter of this tube corresponds to the lay-flat of the sleeve. 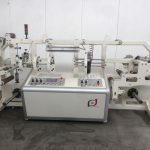 The material is guided internally by means of the forming tube and externally by special springs and it is welded for fusion almost instantly. 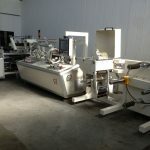 Result: the material will not move and will not open, it will stick perfectly to the tube and the lay-flat will be the same from the beginning up to the end. 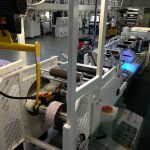 The “Push-Bend” film unit, is a pressing roll assembled on a movable circular group. 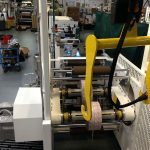 Thanks to this device it is possible to move the position of the seam to any position, even on the edge of the label too. 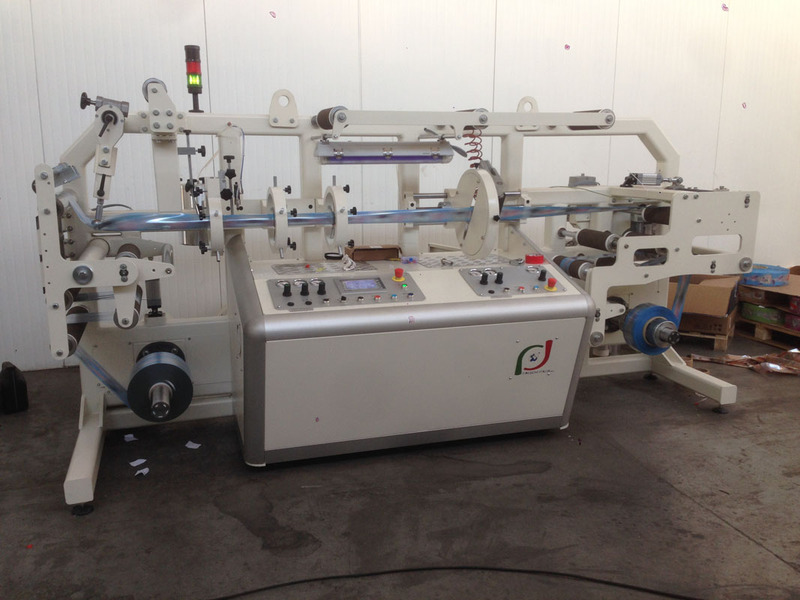 The Turret Rewinder allows the automatic change of the reels (max diam. 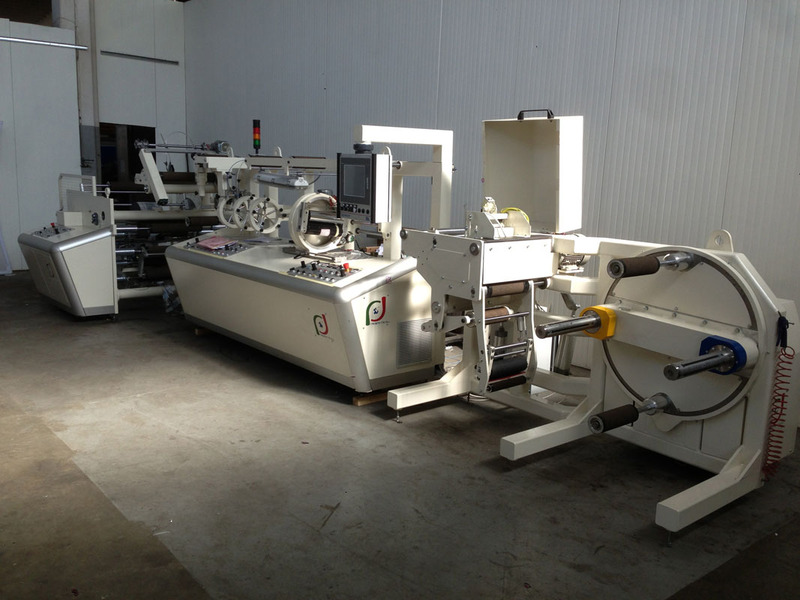 650mm) at production speed without the need of a secondary rewinding. 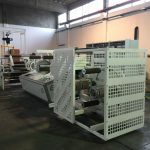 Furthermore, it can be used to eliminate waste material. 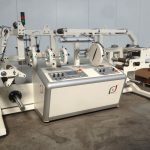 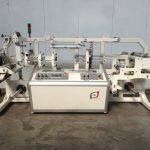 It is possible to install two different cutting systems both pneumatic handling: one for longitudinal perforation, the other one for the edge trim.